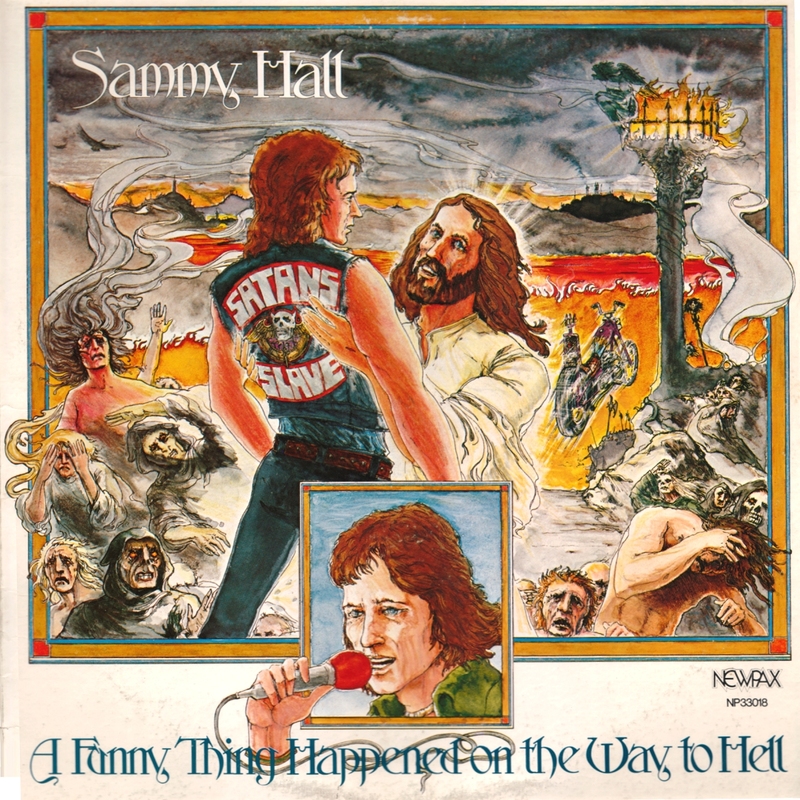 I bought this record mainly for the remarkable cover art: Sammy Hall, split seconds before his motorcycle plunges into a fiery pit of demons, is grabbed by Jesus, who dangles his new convert up by his armpits. You owe it to yourself to view this one at full size. 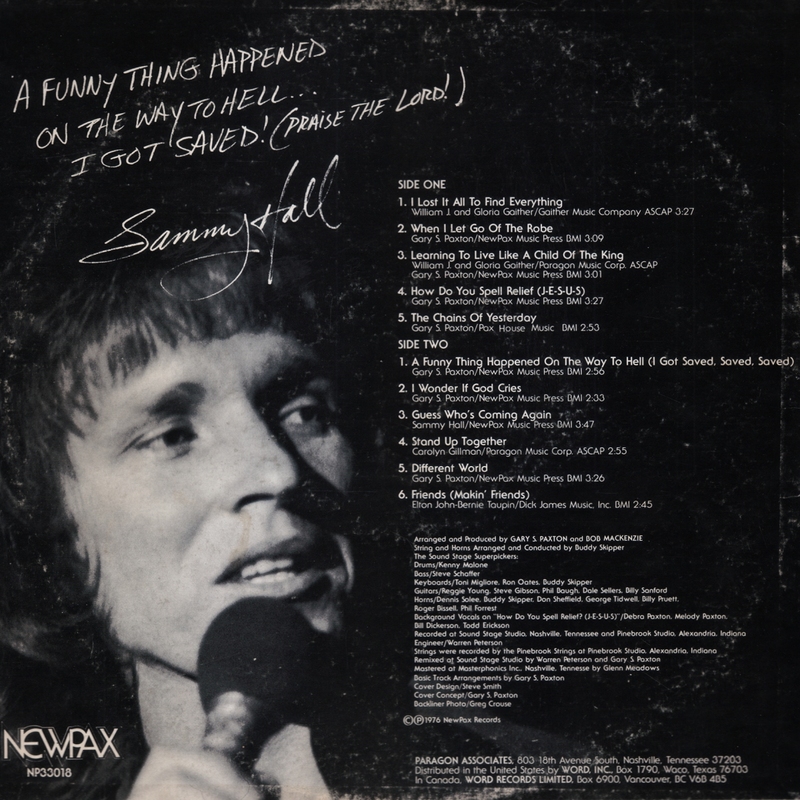 Sammy himself may not be damned, but some of his songs are damned catchy. If you care to sing and play along, download the songbook "The Best to You" from this page. It contains sheet music to all three songs featured here. 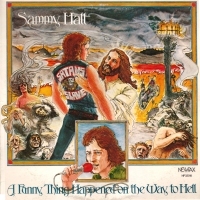 Just one of the many treats awaiting you at sammyhall.com. These songs were written and produced by Gary S. Paxton, who, in addition to many other things, produced the song "Monster Mash". More great religious nonsense from the camp of Gary S. Paxton. These tracks are as blissed out on bless as Paxton's "The Big 'A'= The Big 'M'" was fundamentally shocking and terrifying. Fortunately, all his songs are also, at least to this listener, funny as (dare I say it?) hell. Thanks for posting them. Hey! I've got this album. It is filed away next to "All my Friends Are Dead" and "Flight F-I-N-A-L." Further proof that we are all going to the same place when we die.